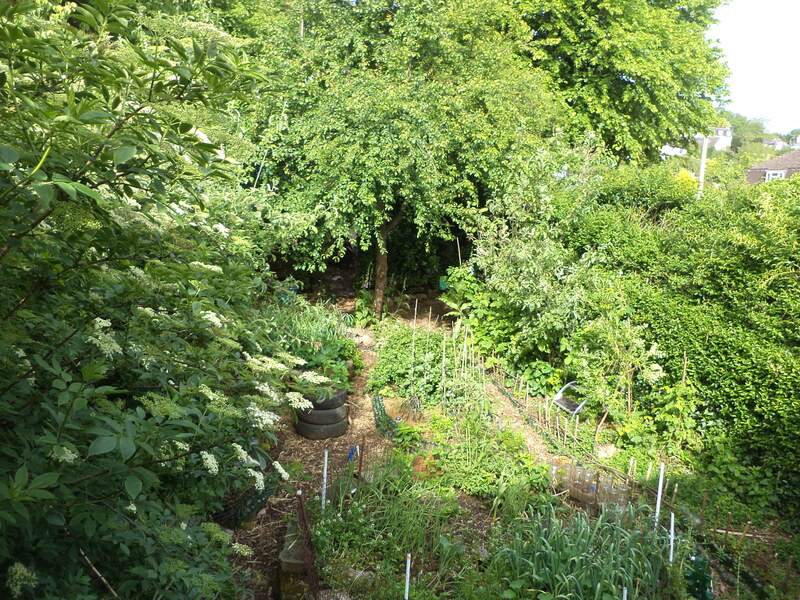 Originally an ordinary terraced house and family garden, Permaculture House in Totnes is now an established suburban permaculture plot and mini-forest garden, as featured in Permaculture Magazine 74. We grow a range of perennial and useful plants, trees and shrubs, keep ducks and specialise in ‘scavenger technology’, the use of rescued and upcycled materials in innovative and practical ways. The house is retro-fit with 100% renewable heating and hot water, insulated with wool and renovated with natural and reclaimed materials where possible. Permaculture House in Totnes will be offering Airbnb from May 2018. Read more here.